With summer now here, I hope you have plans to ride with family and friends over the next few months. As you get your bike ready, before heading out on a group ride it is a good idea to brush up on your local traffic laws. Bicycles are given the same rights and requirements as cars in most municipalities. This becomes even more important as you ride in a group. 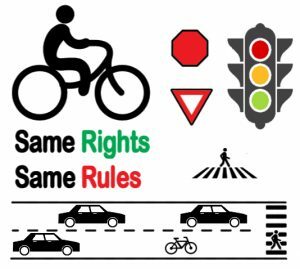 Be cognizant of stopping at all traffic lights, stop signs, and crosswalks. Ride with the flow of traffic in a manner that is as safe and predictable as possible. What to expect on your group ride – Know the rules! 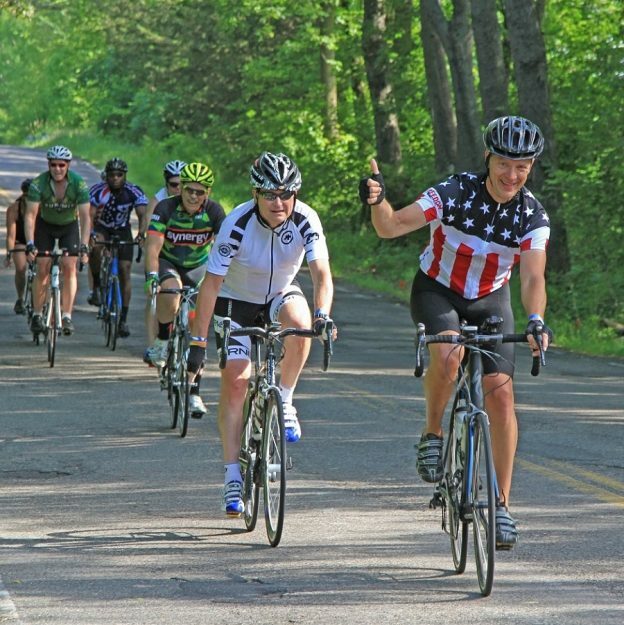 Group rides are typically categorized by speed and distance. If you are joining a ride, investigate the route and ensure that the group will be riding at a speed you can manage. In the case where you are organizing a group ride with friends, it is helpful to share the route and expected speed with all riders beforehand. Additionally, many rides are categorized as “No-Drop” rides. A “No-Drop” ride is one where everyone rides together for the duration of the ride. If a ride is not categorized as “No-Drop” the group is under no expectation to wait for riders who cannot keep up. As a side note for people putting together their own rides with friends. Try to find riders who are all about the same level of fitness and have similar interests. Similar interests help foster great conversation and similar fitness maintains the group connection. The best part of a group ride is the shared experience of rolling through the countryside together. Whereas there are some group rides designed to see who is king of the mountain. But most are designed to use the strengths of a group to add to safety and efficiency. Trying to go at full speed and drop all those around you will only do damage to a great group ride and freindships. In a group ride, you are responsible for the safety of yourself and those around you. Those around you are also responsible for your safety. Consider the group before You make decisions or change direction. While riding solo, you naturally carve through the apex of a turn to maximize speed and maintain momentum. In a group, you cannot cut the corner like this. You need to offer as much space as the rider to the right or left of you needs to complete the turn. Ride to the right. Two by two. This is probably the most important tip for riding in a group. Ride two by two, side by side as close to the other riders as you and they feel comfortable with. By riding in this formation, you can be more efficient while still allowing traffic to move seamlessly around you. Unless you are first in line, you can’t see what obstacles may be coming down the road. 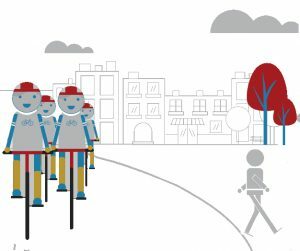 As the rider up front it is your responsibility to let the riders behind you know if the group encounters grates, potholes, other riders, pedestrians or automobiles. 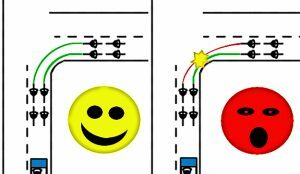 Usually a simple hand signal will work, a quick waive of the hand lets riders behind you know what’s happening. As a rider who is following, it is requisite of you to signal to riders behind you the signals you see ahead. You can call out the obstacle but in many cases the riders behind you may not hear your voice. As you ride with a group more and more, natural confidence and comfort will develop. Stay alert, as you become more comfortable in the group it’s possible to lose focus on yourself and those around you. Always remember to pay attention and follow the tips above. This entry was posted in News and tagged #nextbikeadventure, drive your bike, group bike riding, Hold the line, Local traffic laws, not a race, ride confidently, ride safely on June 15, 2018 by John Brown.